Year 4 enthusiastically participated in our whole school British Science Week project this term. 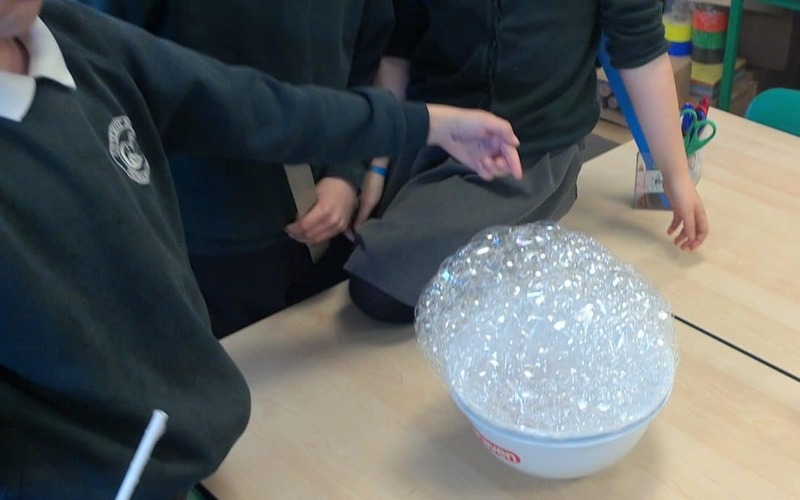 Each class across the school let the children’s questions lead their learning and we all ended up exploring bubbles in lots of different ways. In year 4, class 9 wanted to find out why raisins appeared to dance in carbonated drinks, whilst in class 10 the children wanted to explore different recipes for bubble mixture. Most year groups took part in a whole school sharing assembly at the end of the week, however year 4 were on a trip so they created something to be shared in their absence. Class 9 produced a news report of their results, and class 10 wrote some brilliant radio adverts for their bubble mixture. Well done year 4!